At BlizzCon 2018 last week, Blizzard announced that its shooter Overwatch is getting Ashe, a new playable character, or hero as they’re known. Ashe is the 29th addition to Overwatch’s expanding roster of heroes. With Overwatch being over two years old, its heroes form a large part of the community discussion. Some can be too effective while others are perceived to be far from useful. Both tend to ruin the experience of game that’s built on the checks and balances of one hero’s abilities being able to be countered by another’s. But with 29 heroes and counting, Blizzard has on occasion gone back to the drawing board and reworked certain heroes from the ground up to ensure they remain effective without players feeling like they’re up against insurmountable odds. We’ve seen this with popular heroes such as Symmetra and Mercy with varying degrees of success. Gadgets 360 spoke to Chacko Sonny, Production Director on Overwatch to find out what makes the game’s heroes tick. First up, we had to ask how does the Overwatch team decides on which heroes to add to the game. Explaining further, Sonny says that the Overwatch team has a variety of potential heroes to choose from to reveal and add to the game. Though the thought process behind them isn’t the same. On that note, we asked if there was a definite hero count in mind for Overwatch. The game launched with 21 heroes and has added eight more since Sonny claims that the studio is driven by what heroes add to the gameplay rather than the sheer number of them at a player’s disposal. 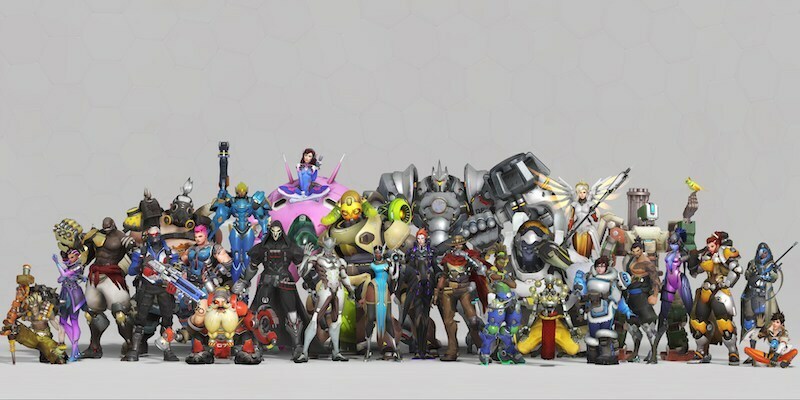 And while Sonny could not tell us what new heroes are in the works, he did reveal how the Overwatch team uses community feedback and user data to make crucial changes to Overwatch such as reworking one of the game’s more effective heroes despite the data suggesting nothing needed to be done. The data however, is just one piece of the puzzle. 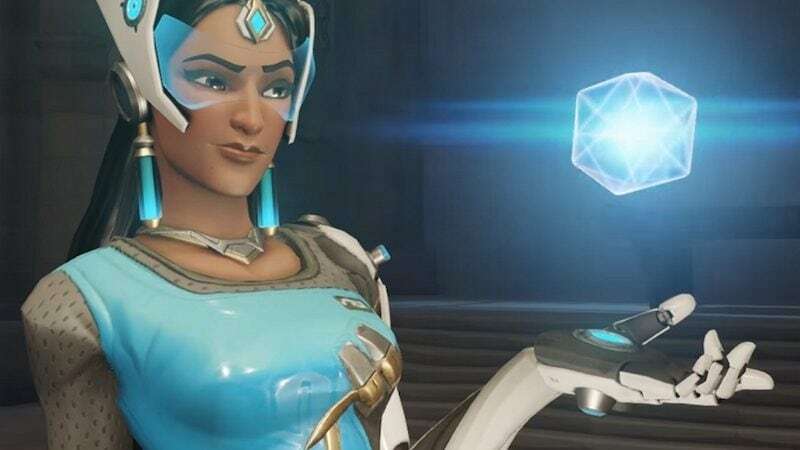 Player feedback suggested that Symmetra wasn’t as versatile a hero for higher skill play or had much utility outside specific areas of a match. “It’s ultimately a combination of data that we look at, watching trends, understanding how players are using certain characters and what’s happening with them as well as their feedback,” Sonny says. It’s not just fan feedback either. In fact the Overwatch team depends on several sources of feedback to iterate and improve upon the game. That said, we wondered why it takes so long for certain hero changes to roll out if the Overwatch team has access to a wealth of information. The answer, it turns out, lies in its ever expanding roster. When a change is ready for public consumption, it’s put onto the game’s public test realm (PTR) for initial feedback before being rolled out to all. Sonny elaborates that this is necessary to ensure any alterations to the game don’t have a negative effect. The conversation moves on to Overwatch’s game modes. At its core, the game remains a six versus six competitive experience, though the developers have experimented with cooperative player versus enemy (PvE) modes for special events based on certain story arcs such as Uprising and Retribution. Expect the trend to continue due to how popular they are with the game’s fan base as well as being “really interesting design challenges” for the Overwatch team. On the topic of Overwatch challenges, we wondered what would happen if Bob, the robot sidekick of new hero Ashe were to be introduced to the game as a hero himself. In the game, Bob is Ashe’s ultimate ability — on being summoned he tears opponents down with machine gun fire from his arms. In fact, Bob can be healed and hacked by others and is even treated as a player hero when contesting or capturing objectives in Overwatch’s game modes. If Bob were to be added to a game as a playable character, would Ashe’s ultimate ability change? Disclosure: Blizzard sponsored the correspondent’s flights and hotel for BlizzCon 2018. Previous articleSurface Headphones vs. Beats Studio3: Which headphones should you buy?